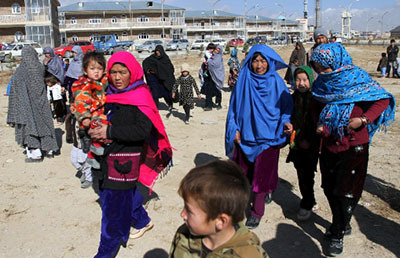 Thousands of members of Afghanistan’s mainly Shi’ite Hazara ethnic minority have fled their homes in the central province of Ghazni as the Taliban have pressed into two previously safe districts, officials and witnesses said on Wednesday. In heavy fighting over recent days, hundreds of Taliban fighters have seized large areas of Jaghori and Malistan districts, both heavily populated by Hazaras, a group that has long faced discrimination in Afghanistan. Roads into the area were closed and telecoms interrupted making it hard for aid groups and officials to assess the number of casualties, with problems facing those displaced made worse by plunging temperatures. Fighting between the Taliban, a mainly ethnic Pashtun Sunni Muslim movement, and a militia led by Hakim Shujayee, a local Hazara commander accused of abuses against Pashtuns, broke out in Uruzgan, a neighboring province to Ghazni in early November. 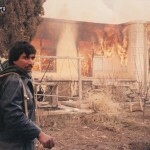 It later spread to Jaghori and Malistan. The fighting has fueled fears over a possible upsurge in ethnic and sectarian violence. The Taliban say their fight is not against the Hazara population but against Shujayee, who has remained at liberty despite warrants for his arrest. “He (Shujayee) receives government support, so our fight is against him and the government that provides support to him, we will punish him for his crimes,” said Taliban spokesman Zabihullah Mujahid. One senior official said at least 35 civilians, mainly Hazaras, and over 50 members of the elite Special Forces had been killed in the clashes. He estimated that more than 7,000 people have fled from Jaghori and Malistan either to Ghazni or into neighboring Bamiyan and more than 3,000 homes had been razed. 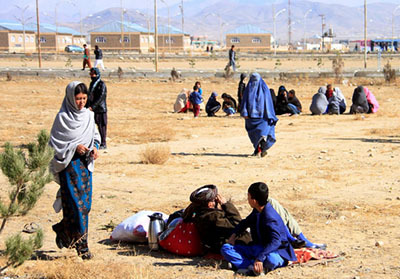 Abdul Rahman Ahmadi, spokesman for the governor of Bamiyan province, which is adjacent to Ghazni and has a large Hazara population, said more than 4,500 internally displaced people had sought shelter in schools, mosques and private homes there. “We are doing everything to help the fleeing villagers, many are in a state of shock,” he said. The United Nations’s Office for the Coordination of Humanitarian Affairs (OCHA) in Afghanistan said the situation within the affected districts was chaotic, leaving people trapped in the districts facing “siege-like” conditions. Large parts of Ghazni province are already under the control of the Taliban after the militants briefly overran the provincial capital, Ghazni city, in August before they were pushed back by Afghan forces backed by U.S. air strikes. Prior to the fighting, Jaghori was known as a relatively liberal enclave with high levels of education and women’s rights. “Jaghori was the only district where women could drive a car freely and pursue higher education without worrying about militant attacks. But now it will all change,” said one foreign security expert. Earlier this week hundreds of people held demonstrations outside the presidential palace in Kabul. The protesters, mainly Hazaras, said President Ashraf Ghani had failed to address security challenges. A Killid investigation reveals there is a mindboggling 30 to 80 percent corruption in customs in the western provinces.